Two academics have shocked themselves and the world of mathematics by discovering a pattern in prime numbers. Primes – numbers greater than 1 that are divisible only by themselves and 1 – are considered the ‘building blocks’ of mathematics, because every number is either a prime or can be built by multiplying primes together – (84, for example, is 2x2x3x7). Their properties have baffled number theorists for centuries, but mathematicians have usually felt safe working on the assumption they could treat primes as if they occur randomly. 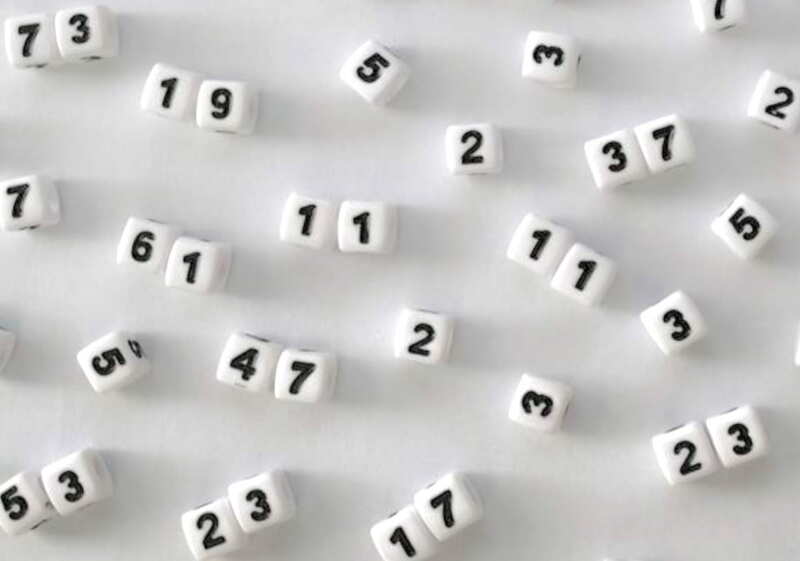 Now, however, Kannan Soundararajan and Robert Lemke Oliver of Stanford University in the US have discovered that when it comes to the last digit of prime numbers, there is a kind of pattern. Apart from 2 and 5, all prime numbers have to end in 1, 3, 7 or 9 so that they can’t be divided by 2 or 5. So if the numbers occurred randomly as expected, it wouldn’t matter what the last digit of the previous prime was. 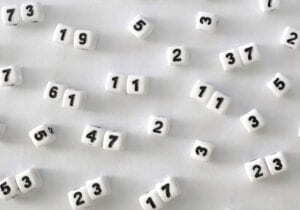 Each of the four possibilities – 1, 3, 7, or 9 – should have an equal 25 per cent (one in four) chance of appearing at the end of the next prime number. 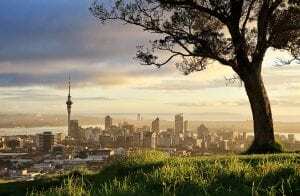 A prime ending in 1 was followed by a prime ending in 1 only 18.5 per cent of the time, significantly less often than the expected 25 per cent. And, the pair found, primes ending in 3 tended be followed by primes ending in 9 more often than in 1 or 7. 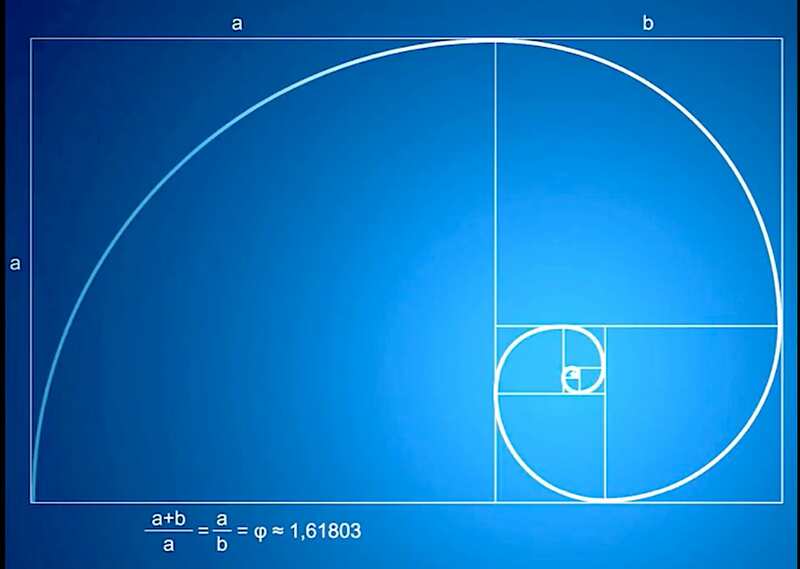 Even today, the golden ratio comes handy when we have to make visually appealing web pages, brochures, or even logos for your company or a client. 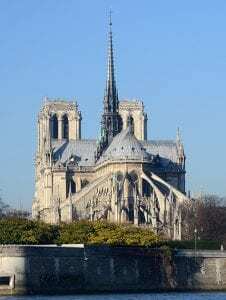 A very sad moment when we heard yesterday that Notre Dame cathedral was ablaze in Paris. H3 visited this amazing Gothic cathedral just a few years ago and the soaring roof detail seemed inexplicable – its heavy brick pattern seeming unsupported. 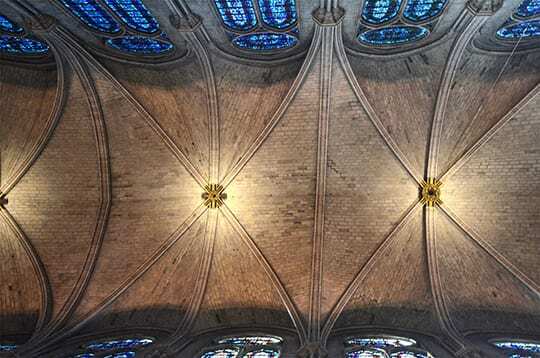 Yes, this fire-proof lining may have saved the cathedral from absolute ruin. Notre Dame was build over a period of more than 200 years – amazing architecture which placed its achievement in the hands of mathematically-skilled craftsmen. “The subtle grace of the Gothic cathedral touches us powerfully on so many levels. But that grace is vested in engineering design. Those barrel vaults, flying buttresses, Gothic arches, and spiral stone staircases had to be born of mathematics. The building is the geometry text. The master mason, with his fingers touching stone, used stone to express geometry. If mathematics is the symbolic expression of magnitude, that’s what the cathedral itself is. 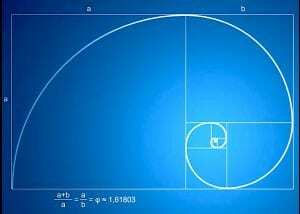 The balance of mass and space goes by square roots of 2 and 3, and the so-called Golden Section. Medieval iconography regularly shows one mathematical instrument in the hands of the mason — a pair of dividers. When medieval artists show us God, He often appears as the Master Craftsman, holding a great pair of dividers. With dividers and a carpenter’s square alone, you can prove the Pythagorean theorem, and you can create any of those seemingly sacred proportions. 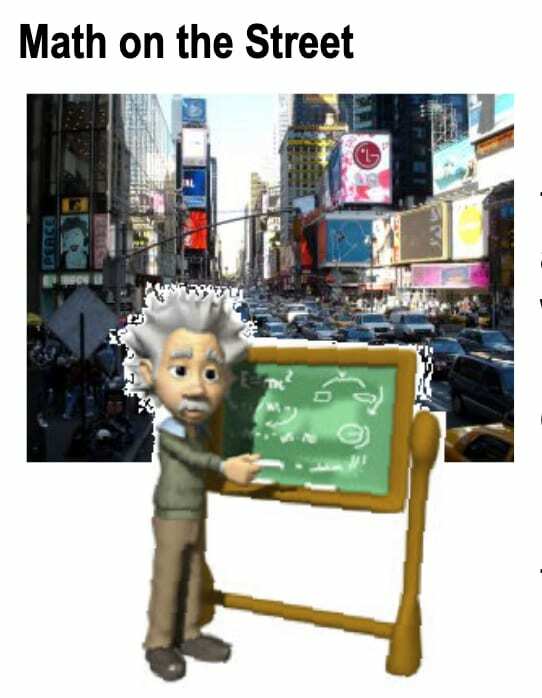 In a drizzling rain, a 63-year-old professor, George Nobl, stood on a stretch of Times Square sidewalk the other day beside an easel blithely daring passers-by to solve a math problem. ”Solve the problem, and win a Snickers bar,” the message added. In an area known for bullhorn-wielding sidewalk evangelists, three-card monte games and even the occasional chess face-off, some thought Professor Nobl was a con artist. Some figured he was promoting a candy bar. Many walked away, but quite a few lingered to study the problem. It turned out Professor Nobl had nothing up his sleeve except a quirky effort to promote the fun of math. Every Wednesday at noon since last summer, he has stood on West 42nd Street between Fifth and Sixth Avenues challenging passers-by in this eccentric fashion. 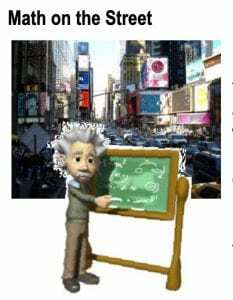 ”If people want to answer those trivial questions in ‘Who Wants to Be a Millionaire,’ then why not give them a math problem?” he asked. After a few minutes, several people in the crowd whispered answers into his ears by turns, with most of them guessing that the answer was two and a half hours. ”If it takes one person two hours to paint the room, how come it would take longer for them to do the task together?” Professor Nobl asked tartly. David Williams, a social worker who graduated from public schools in the Bronx and went on to college, was less lucky. ”When I see a word problem, I don’t know which rule to use,” Mr. Williams said. ”I remember a lot of rules, but I don’t know which one is the right rule.” Full article here. Astronomers have captured the first image of a black hole, proving the University of Canterbury’s distinguished Professor Roy Kerr’s 56-year-old theory correct. Kerr said he set his alarm for 1am to see this exciting event. “The event horizon telescope photo is just the beginning of a new phase in the understanding of our universe. 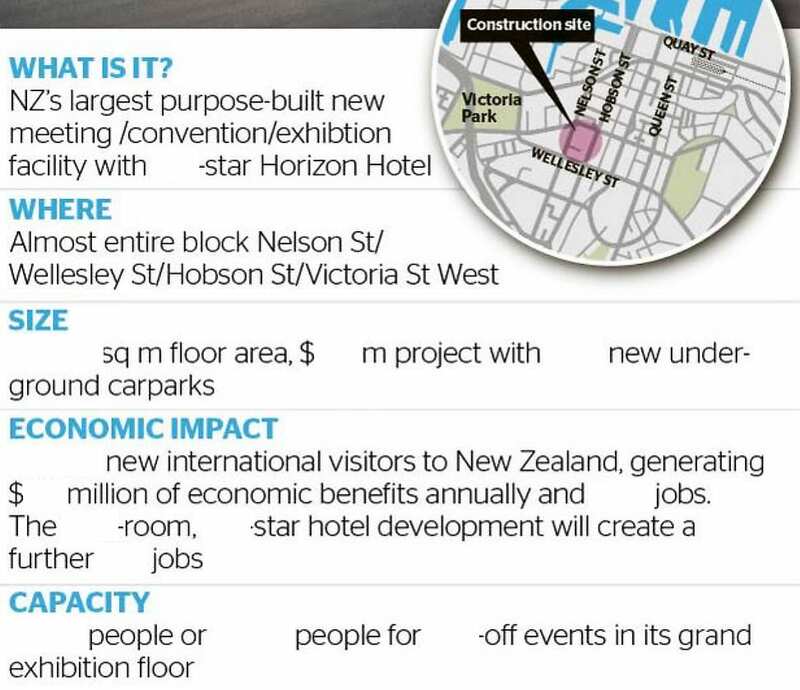 “The visual evidence will continue to get more and more sophisticated,” he said. In 1963 before advanced computers existed Kerr achieved what had eluded others for nearly half a century with pen and paper – solving some of the most difficult equations of physics by hand. He found the exact solution of Albert Einstein’s equations that describe rotating black holes. Kerr is an eminent mathematician known internationally for discovering the Kerr Vacuum, an exact solution to the Einstein field equation of general relativity. 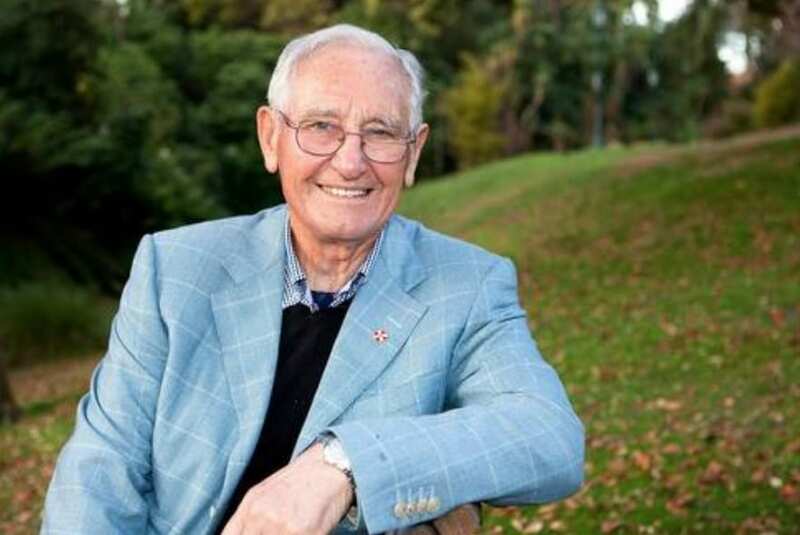 He began his long association with the University of Canterbury in 1951, earning a Bachelor of Science in 1954 and a Master of Science in 1955. He then went to Cambridge to research his PhD and was awarded his doctorate in 1959. From England he then moved to the United States where he worked with Professor Peter Bergmann, Albert Einstein’s collaborator. Kerr returned to New Zealand and the University of Canterbury in 1971 where he became a Professor of Mathematics for 22 years until his retirement in 1993. Awarded the British Royal Society’s Hughes Medal in 1984 and the Rutherford Medal from the New Zealand Royal Society in 1993, he was also made a Companion of the New Zealand Order of Merit in 2011, and was awarded the 2013 Albert Einstein medal by the Albert Einstein Society in Switzerland. 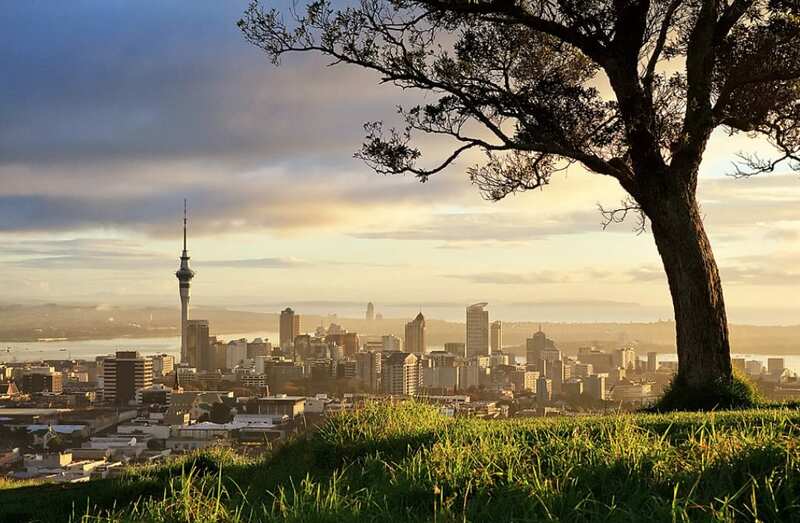 The University of Canterbury awarded the rare honour of the title Canterbury Distinguished Professor to Emeritus Professor Roy Kerr, who also received the prestigious Crafoord Prize in Sweden in 2016. Canterbury Distinguished Professor is the highest academic title that can be awarded by the University and has been conferred only twice before in the University’s history. Your blog host, H3, is visiting locations in Italy, France, Singapore, and the USA (West Coast) in August and September, 2019. If you are interested in hosting a school or class visit, please contact H3 in the comment section. The visit could include a brief outline of engaging math activities, an overview of this blog, and ‘why math really counts for school leavers’, etc. We look forward to hearing from you – our valued readers. Squid (he has always loved math) said, “Wow, the average earnings was $66‘” which made Jed, Sarah and Ginger rather sad too. “But,” replied Tim, “the median amount was $30.” That made Jed and Sarah feel much better. H3 Comment: What a big difference between the ‘average’ and ‘median’. The average is distorted by the large amount of money that Tim made, while the median (middle of ranked earning) is much closer to a measure of the middle. That is a whopping difference of over $99,000 between the average sales price and the median sales price. What happened? 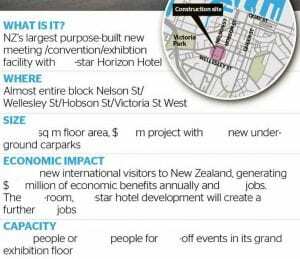 Just like the example involving the 5 students, in the case of Auckland house prices (now among the highest in the world) there were some large sales that skewed the data. If you were a buyer you could be misled if you were given the average figure as an indicator of the ‘middle’ value of properties being sold. The median is a better medium to use! I love the “cover-up method” where I hide something and students are challenged to find the answer. For example, suggest some numbers that would make this new item make sense. Then check out the solutions in ‘Post Support’. DYK (Did you know) – that a typical acre (0.40 hectares) of soil contains 400kg of earthworms, 1000kg of fungi, 680kg of bacteria and 400kg of insects.